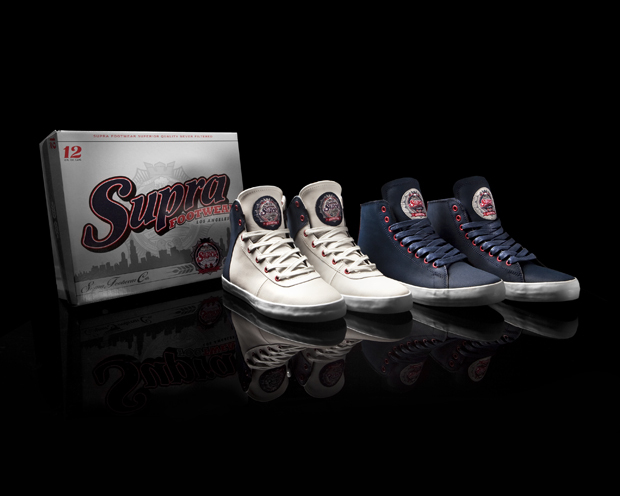 Taking inspiration from classic american beer brewing, Supra releases this pack that offers gratitude to California based store ‘Factory 413′ by giving the models ‘Thunder’ and ‘Cuttler’ a makeover. 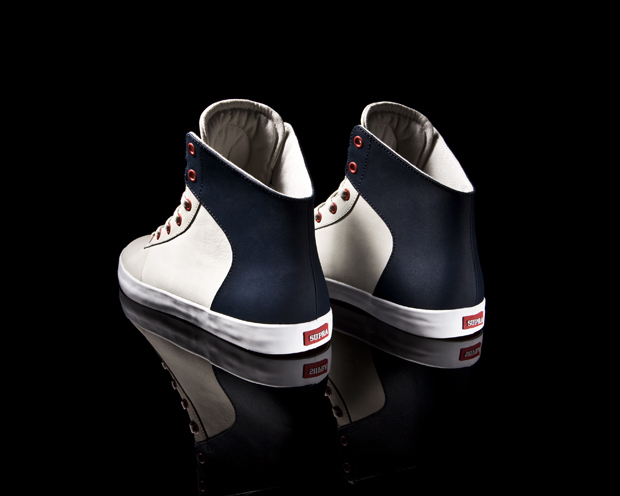 Both shoes are constructed of a “Satin” SUPRATUF® upper, with the navy ‘Thunder’ representing a more fuller tasing beer and the off-white and navy ‘Cuttler’ suggesting a lighter beer. 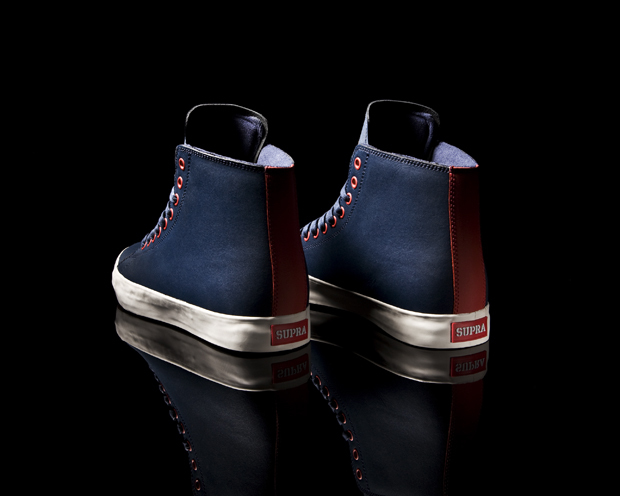 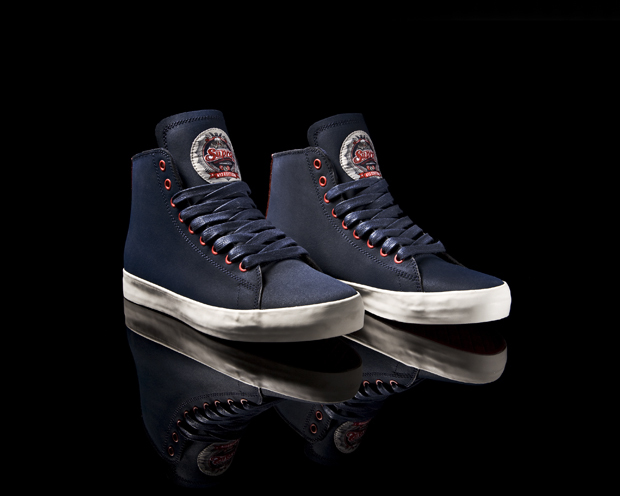 Touches of red are applied on the eyelets and a highly detailed badge is found on the tongue. 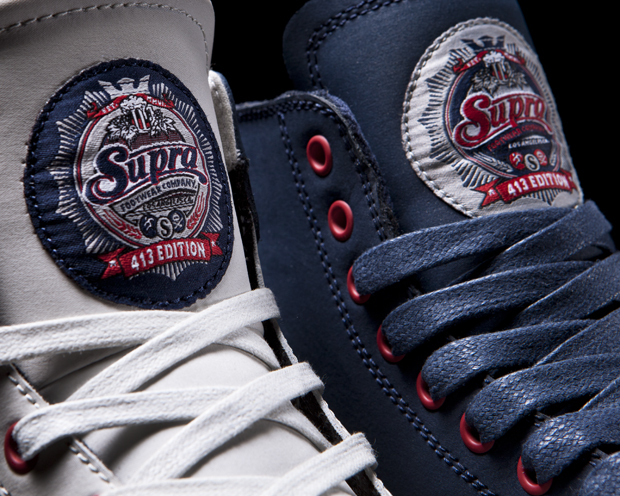 Both styles are limited to 413 pairs worldwide and are each numbered on the inside of the tongue. 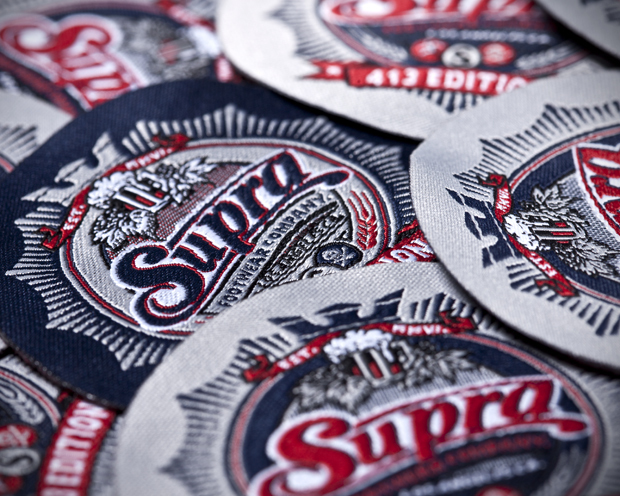 These both come in a custom built boxes and include some beer cap inspired extras for good measure. 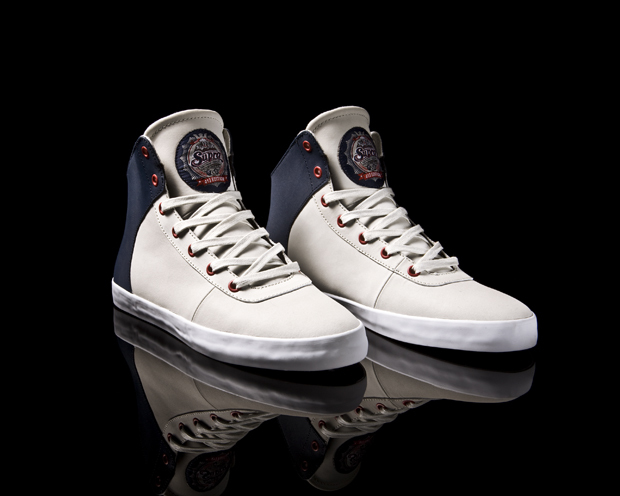 Available on April 13th from Foot Patrol.